Near the end of 2018 there was a fairly robust run on Spud Kits leaving me with one kit available for immediate shipment and one pre-built kit in white. After that, there will be a short delay while I restock components. Orders can still be placed, but expect closer to a few weeks shipping time versus the few days of turnaround I am typically able to meet. $550 plus shipping including stock tubes and a NOS pair of RCA tubes. Posted in Pages	| Comments Off on One Spud Kit and one fully built Spud Kit available for immediate shipping in January 2019. Well, with one fully built amp shipping to Italy this week, and a kit on its way to California, I have only 3 kits 2 kits remaining for 2018. I do get busy with Thanksgiving and Christmas preparations, but I think I could probably fit in one more custom build before Christmas if somebody didn’t want to build a kit. Otherwise, I have 3 kits ready to ship. 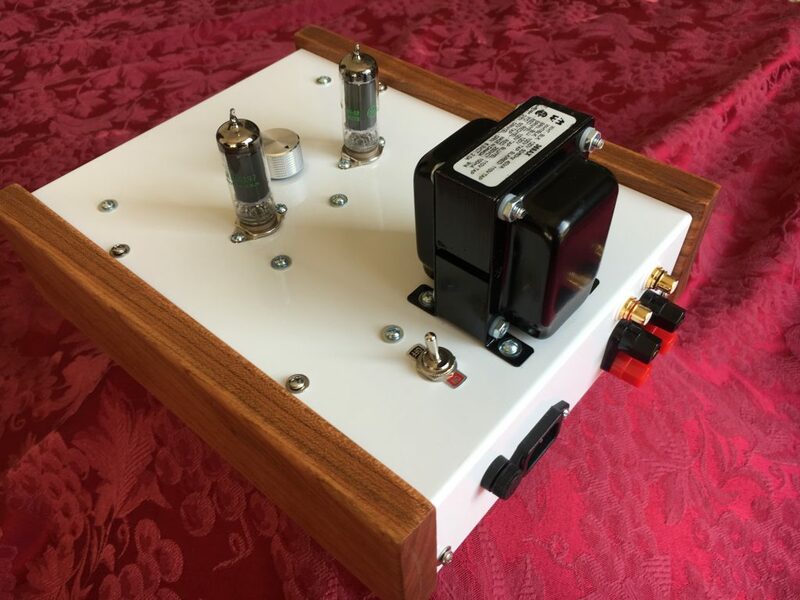 Also, I have one fully built amplifier with a White chassis ready for shipment as well. 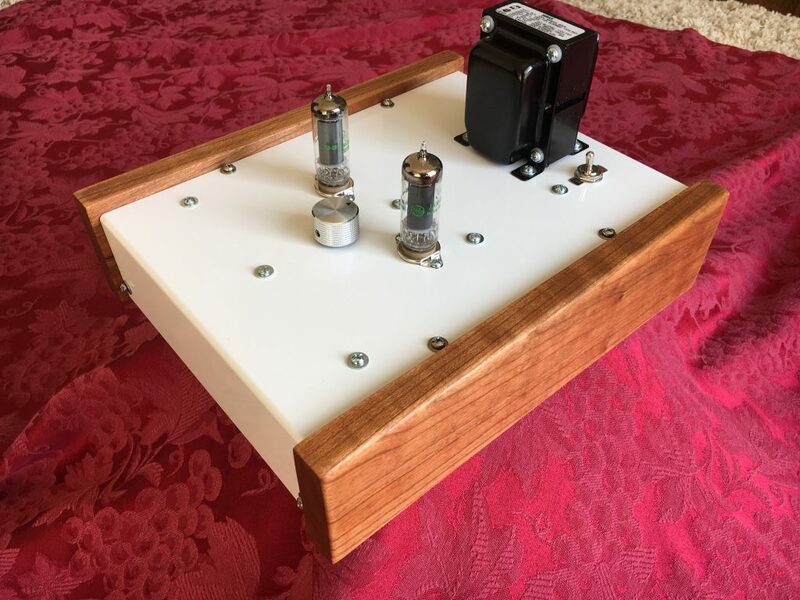 Yes, the Spud Kit is available, and yes, I am still building them and shipping as a finished amplifier for those who aren’t inclined to build their own. I have chassis colors available in powder coated black, blue and silver. I also have raw / unfinished aluminum available if you’d like to apply your own color. Recently, I went to Las Vegas for an Air Force reunion with some of my best buddies from my days in the military back in the ’80’s. 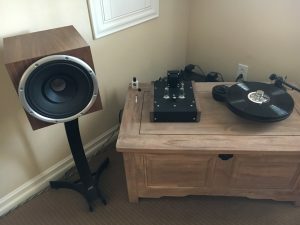 It was a great trip, and I finally got to listen to a system one of my friends built around his Spud. He’s using Zu Audio speakers and a Pro-Ject turntable. 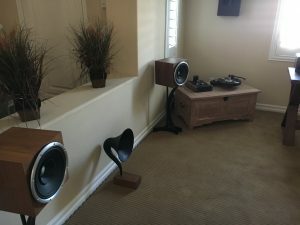 He has a perfect room for a high performing minimalist system, and it sounded great! 2016 is here, and there are some subtle and exciting changes with the Spud Kit while some things remain the same. The Spud Kit will remain in kit form, and I will continue to stock small batches of kits for enthusiasts. Prebuilt kits are also available. There are many prospective owners who don’t have the skills, experience or desire to build their own kit. For that audience, I will offer a flat fee to build a kit and provide a finished and tested amplifier. Some builders have gone down the road of endless upgrades to their kits and may have lost their way. Also, there may be kits that have been acquired in the used market with undesirable modifications. Whatever the situation, I can rebuild or diagnose your amp and return it to its stock function and form. I can even accommodate some of the modifications if that is your desire. I have modified the layout slightly for my custom builds. This modification removes a few terminal strips, reroutes the ground scheme and relocates the filament supply. It’s a noticeable improvement in form and function. Posted in Pages	| Comments Off on 2016 is here! 1. Yes, the kit is available. 2. Yes, the shopping cart works and can be used for purchases. 3. Yes, if you’re uncomfortable using the cart, send me an email, and I’ll be happy to answer any questions and send a customized PayPal invoice. Stocked up and ready to ship! Kits are in stock and ready to ship. Posted in Pages	| Comments Off on Stocked up and ready to ship! The last 2012 Spud Kit will be on its way to Australia next week. 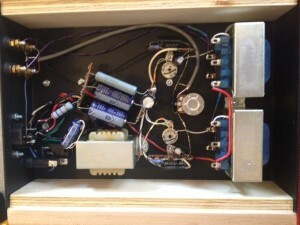 A custom build was commissioned including bypass capacitors and a very nice PEC pot. Pictures will be posted prior to shipping. For 2013, we’re stocking kits in groups of 5 with slight delays between restocking. Email with any questions regarding payment / availability. After a fairly long hiatus, the Spud Kit is available again. 6 kits are available for shipping in mid-October at this time. Price is $390 for the basic kit, $25 for hardwood side panels and $15 for Priority Mail shipping in the US. Any pre-orders will include a very nice pair of NOS Tung-Sol tubes in addition to the pair of stock NOS tubes included with the kit. Email for details or simply place your order through this site. The Tung-Sol offer will end November 1st, 2012. Posted in Pages	| Comments Off on Back in stock!